Robert Aleshire of Delta (Fulton County) was sentenced in Franklin County Common Pleas Court on Jan. 13 following an investigation by BWC that found he was working while receiving workers’ compensation benefits. BWC’s Special Investigations Intelligence Unit identified that Aleshire was involved in a Public Utilities Commission of Ohio motor vehicle inspection as a commercial truck driver while he was collecting benefits. The investigation revealed that Aleshire was driving for Whitacre Logistics as an independent contractor under the name MoMo Trucking during the same time he was receiving permanent total disability for an injury that allegedly left him permanently unable to work. The judge placed Aleshire on community control and basic supervision for five years. As a condition of his community control, Aleshire was ordered to pay restitution of $8,903.44 and $2,000 for investigative costs, for a total of $10,903.44. The judge also ordered him to have no new convictions. If Aleshire violates the terms of his community control, he will receive a prison term of 12 months. One of the many integral parts of the Special Investigations Department’s (SID) success is the heard-but-not-seen work done by our Intelligence Unit (IU). Its key functions are to provide support to BWC SID field agents through fraud detection and data analysis. For decades, the unit has generated significant results. In FY 2015, the IU detected 720 fraud allegations, resulting in the identification of $37,087,770 in savings. More recently, during the first six months of FY 2016, the unit detected 323 fraud allegations, resulting in the identification of $23,983,867 in savings. Here is how the IU generates these results. The unit reviews BWC data about claimants, medical providers and employers. All data tells a story and some stories, unfortunately, include red flags that identify possible fraudulent activities. The knowledge, skills and experience of IU professionals enable them to detect possible fraud, even in massive data sets containing millions of data elements. Here, the unit employs data analysis, including predictive modeling, to proactively detect fraud. The daily efforts of the IU uncover filed claims that are potentially false, benefit compensation to which claimants are not entitled, diversion of prescription drugs, medical billing fraud and failure of employers to pay workers’ compensation premiums. The IU is made available to SID special agents who depend on the unit to deliver accurate information that supports ongoing field investigations conducted by Special Investigations Units (SIUs). During the first six months of FY 2016, the IU completed 1,499 data requests from the SIUs and assisted with analyses of case information. These data analysis and detection efforts examine not only information provided to BWC, but also our external partners. 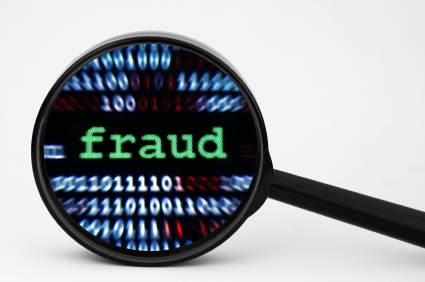 The IU exchanges data with other state agencies to further detect fraud. For example, the unit was the source of the allegations that resulted in the recent criminal convictions of Latonia Almon and Michelle Green, the subjects of a Jan. 22, 2016 SID social media article, “Columbus home health aides sentenced for workers’ comp fraud.” In those cases, a crossmatch of data with the Ohio Department of Job and Family Services tipped the IU off to possible fraud. Any law enforcement or other criminal investigative agency interested in partnering with the IU should contact Becky Donchess at (614) 466-8090 or Rebecca.D.1@bwc.state.oh.us. For more information about the SID or its IU, see our Special Investigations Department Fiscal Year 2015 Annual Report. COLUMBUS – Two Columbus women who were working as home health aides were sentenced for two separate cases of workers’ compensation fraud in Franklin County courtrooms last week. Latonia Almon and Michelle Green became the subjects of separate investigations after the Ohio Bureau of Workers’ Compensation (BWC) Special Investigations Department (SID) received data from the Ohio Department of Job and Family Services (ODJFS) indicating they were receiving wages while collecting workers’ comp benefits. Columbus – Ohio Bureau of Workers’ Compensation (BWC) Administrator/CEO Steve Buehrer announced today that nine individuals were convicted of, or pleaded guilty to, charges related to defrauding Ohio’s workers’ compensation system in December 2015. These court actions are the result of investigations conducted by BWC’s Special Investigations Department (SID). Robert Stauffer, dba Initial Designs/Seaway Enterprises, Toledo (Lucas County), appeared in a Lucas County courtroom on Dec. 30 after he failed to maintain workers’ compensation insurance coverage. A case was opened after SID’s Intelligence Unit detected Initial Designs, Inc. as operating without coverage. The Employer Fraud Team’s investigation found Stauffer’s business had been operating without workers’ compensation coverage since 2005. Stauffer failed to report payroll and bring his business into compliance with the law during a time his business was operating. By concealing employee payroll, Stauffer was successful in concealing from the BWC the amount of his premiums due at the time he was operating the screen printing business. Stauffer was interviewed numerous times and given multiple opportunities to comply with Ohio Law and become compliant, which he failed to do. 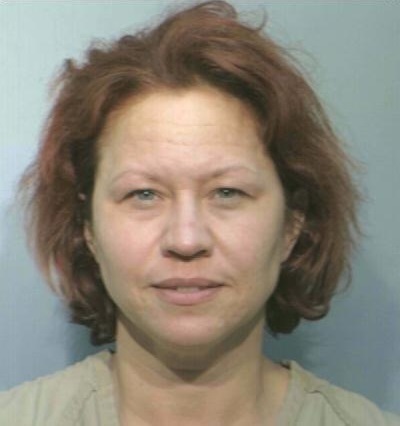 Stauffer was found eligible for the pre-trial diversion program. All criminal proceedings were stayed and he was placed on supervision under the control of the Pre-Trial/Pre-Sentence department for a term of five years and to comply with all the provisions of the agreement. John Flood, dba Walter Allen Corp., Grill and Skillet Restaurant, Columbus (Franklin County), pleaded guilty Dec. 30 to one first-degree misdemeanor count of workers’ compensation fraud for operating without coverage. BWC’s Employer Compliance Department referred Flood to SID due to his failure to maintain workers’ compensation coverage. Flood’s coverage had been lapsed since 1994 and Flood failed to comply with attempts by the compliance department to bring the policy back into compliance with state law. Agents interviewed Flood and advised him to complete the payroll reports and file them with BWC. He was also advised he could enter into a payment plan toward the past due premiums. When Flood failed to take these steps, agents subpoenaed payroll records and used them to bill the outstanding premiums. Flood’s plea is contingent on his continuing cooperation with the BWC to complete his repayment plan for unpaid premiums and non-compliant claims associated with his accounts. To date, Flood has filed all outstanding payroll reports but has not made any payments or payment arrangements. Sentencing is scheduled for February 25, 2016. Lakhvir Sidhu, dba Liverpool Express Inc., Marion (Marion County) was convicted of a second-degree misdemeanor count of failure to comply with the law on Dec. 7 for allowing his workers’ compensation coverage to lapse. BWC’s Employer Compliance Department first attempted to work with Sidhu, owner of Liverpool Express, to bring his policy into compliance but investigators with the agency’s Special Investigations Department opened a fraud investigation after Sidhu did not cooperate. An audit on the business showed Sidhu was paying wages to employees he claimed were subcontractors. Investigators interviewed Sidhu on several occasions regarding the lapsed policy and the requirement to report wages for his employees. After meeting with agents, Sidhu paid his past due premiums, although he still claimed the workers were subcontractors. The investigation later revealed that Sidhu reported employee wages to the Ohio Department of Job and Family Services that totaled $266,000 more than the wages he reported to BWC for the same time period. The matter was then reviewed by the Marion City Law Directors office after Sidhu failed to enter into a payment plan and/or file the additional payroll information as requested by agents. Sidhu was ordered to pay restitution in amount of $3,724.77, and comply with BWC regulations and Ohio laws. Sidhu must also pay fines totaling $400 and serve 90 days of incarceration, suspended for two years community control. 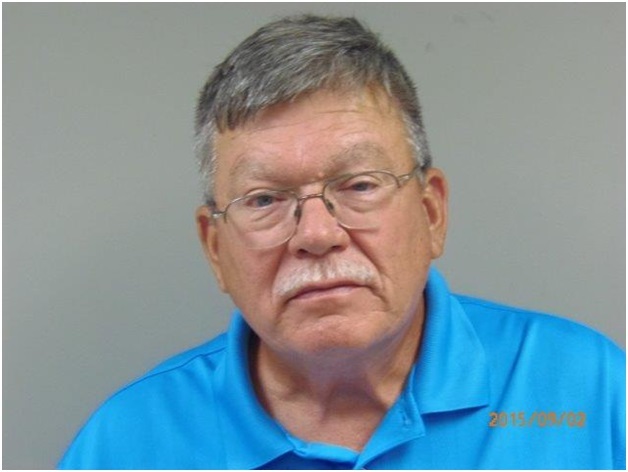 Mike Watkins, New Lebanon (Montgomery County), pleaded guilty to one count workers’ compensation fraud, a first-degree misdemeanor on Dec. 16 for working while receiving benefits and falsifying earnings. SID received an allegation that Mike Watkins may have returned to work for his business, Mike Watkins Sterling Homes, while he was collecting temporary total disability benefits and was supposed to be off work recovering from a workplace injury. The investigation found that Watkins did work for his business for two years while receiving compensation in violation of the program’s rules regarding returning to work. The investigation also uncovered false payroll checks were being written to Watkins by his wife Terri so that he could qualify for living maintenance wage loss benefits. Mike Watkins was sentenced to 30 days in jail, which was suspended for five years of community control. The restitution owed to BWC is $77,339.43 and $7,234.90 in investigative costs for a total of $84,574.33. Prior to the plea, Watkins’ attorney gave a check totaling $30,000 to the Attorney General to be paid toward the amount he owed. The conditions of community control are that he pay the remaining balance of $54,574.33, maintain employment and have no new arrests or convictions. Terri Watkins earlier pleaded guilty to one count complicity to commit workers’ compensation fraud, a first-degree misdemeanor, on June 15, 2015. The judge found her guilty and ordered her to repay restitution of $16,192.00 and $7,234.90 in investigative costs, for a total of $23,426.90. She provided a check to the court. As her restitution was paid in full, the judge ordered her to pay $30 in court costs and sentenced her to time served. Mark Walker, Painesville (Lake County) entered a guilty plea on Dec. 17 to one count of workers’ Compensation fraud, a fifth-degree felony, for working while receiving benefits. SID began investigating after receiving an allegation from an anonymous source indicating Walker was running his own business called Mark’s Handyman Service, while receiving temporary total benefits. The investigation found that Walker did return to work at Mark’s Handyman Service, while concurrently collecting the benefits for a period of five years. The Industrial Commission of Ohio issued an order finding an overpayment of compensation in the amount of $74,954.16. Sentencing is scheduled for March 18, 2016. Cindi Brown, dba Brown/Walter Commercial Cleaning, Kent (Portage County), pleaded no contest to one second-degree misdemeanor count of failure to comply on Dec. 7 for operating her business without workers’ compensation insurance coverage. Brown, owner of Brown/Walter Commercial Cleaning, became the subject of an investigation after SID received an allegation from a competing business that she was operating with employees without coverage. The complainant stated Brown was recently awarded a cleaning contract by Rubbermaid that was previously awarded to the source’s company. Investigators conducted an interview and obtained documentation that confirmed a contract was awarded to Brown’s company to clean a Rubbermaid facility located in Mogadore. During interviews, Brown advised she cleaned houses by herself until she obtained the contract with Rubbermaid and required workers to assist with the job. She stated she was providing the workers 1099’s and considered them contractors. Investigators explained to Brown that the workers should be classified as employees and she would need to report the wages and pay the associated premiums. Brown committed to doing so, but failed to submit any outstanding payroll reports or pay any premiums. The case was referred to the Portage County Prosecutor’s office following Brown’s failure to submit outstanding payroll and pay premium. She was ordered to pay restitution and was also sentenced to 90 days of incarceration, which was suspended as long as she remains compliant with the law. Ramzes Madison, Bedford (Cuyahoga County) was convicted of one fifth-degree felony count of workers’ compensation fraud on Dec. 10 for misleading BWC about his status as a college student. Ramzes Madison was eligible to receive benefits up to age 25 if enrolled at an accredited educational institution. SID began investigating after receiving an allegation that he was submitting proof of college enrollment to BWC in order to receive benefits but was not attending the classes. SID obtained enrollment records from the University of Akron and Cuyahoga Community College and found that he had not attended classes he was registered for after submitting his schedule to the BWC. Madison was sentenced to 20 days in jail in the Franklin County Correctional Center and five years of community control. Should sanctions of his community control be violated, Madison will face an additional 12 months in prison. As a condition of his probation, Madison is required to pay $19,611.42 in restitution to BWC. His sister pleaded guilty to similar charges three weeks earlier. A New Lebanon (Montgomery County) man and his wife both pleaded guilty to fraud following an investigation by the Ohio Bureau of Workers’ Compensation (BWC) that uncovered their scheme to steal workers’ comp benefits. Mike and Terri Watkins appeared in court separately and were ordered to repay BWC a combined $108,000. BWC’s Special Investigations Department (SID) received an allegation that Mike Watkins may have returned to work for his business, Mike Watkins Sterling Homes, while he was collecting temporary total disability benefits and was supposed to be off work recovering from a workplace injury. The investigation found that Watkins did work for his business for two years while receiving compensation in violation of the program’s rules regarding returning to work. The investigation also uncovered false payroll checks were being written by his wife, Terri Watkins. When Watkins was not qualified to receive the benefits, he reported to the BWC that he was employed with TRW Supreme Homes, a business owned by his wife. Terri Watkins was writing payroll checks to Mike Watkins so that he could submit them to BWC in order to qualify for living maintenance wage loss benefits. This benefit is available to an injured worker who has completed a rehabilitation plan but continues to have physical restrictions and experiences a wage loss upon return to work. SID discovered the checks were never cashed but just used as “proof” of wages so that Watkins could receive benefits to which he was not entitled. Mike Watkins pleaded guilty to one count workers’ compensation fraud, a first-degree misdemeanor, on Dec. 16, 2015 in the Franklin County Court of Common Pleas. He was sentenced to 30 days in jail, which was suspended for five years of community control. The restitution owed to BWC is $77,339.43 and $7,234.90 in investigative costs for a total of $84,574.33. Prior to the plea, Watkins’ attorney gave a check totaling $30,000 to the Attorney General to be paid toward the amount he owed. The conditions of community control are that he pay the remaining balance of $54,574.33, maintain employment and have no new arrests or convictions. Terri Watkins earlier pleaded guilty to one count complicity to commit workers’ compensation fraud, a first-degree misdemeanor, on June 15, 2015. The judge found her guilty and ordered her to repay restitution of $16,192.00 and $7,234.90 in investigative costs, for a total of $23,426.90. She provided a check to the court. As her restitution was paid in full, the judge ordered her to pay $30 in court costs and sentenced her to time served. 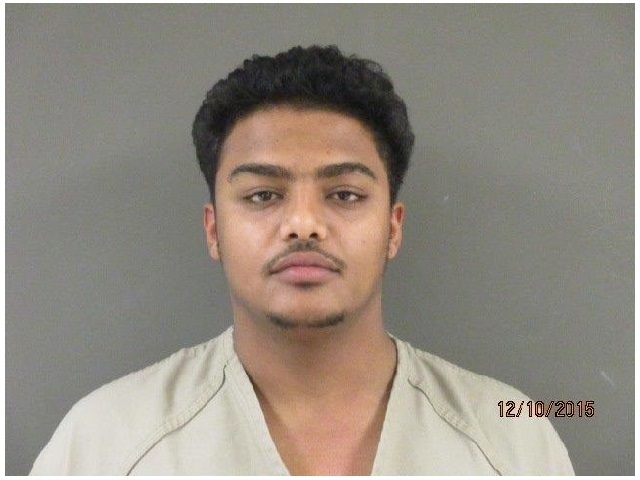 Ramzes Madison of Bedford (Cuyahoga County) was convicted charges related to misleading BWC about his status as a college student on December 10, three weeks after his sister pleaded guilty to similar charges. Ramzes Madison was eligible to receive death benefits up to age 25 if enrolled at an accredited educational institution. SID began investigating after receiving an allegation that he was submitting proof of college enrollment to BWC in order to receive benefits but was not attending the classes. BWC’s Special Investigations Department obtained enrollment records from the University of Akron and Cuyahoga Community College and found that he had not attended classes he was registered for after submitting his schedule to the BWC. Ramzes Madison was convicted of one fifth-degree felony count workers’ compensation fraud. He was sentenced to 20 days in jail in the Franklin County Correctional Center and five years of community control. Should sanctions of his community control be violated, Madison will face an additional 12 months in prison. As a condition of his probation, Madison is required to pay $19,611.42 in restitution to BWC. Anissa Burns of Columbus (Franklin County) was sentenced recently after BWC investigators discovered she filed a false workplace injury claim. BWC’s Special Investigations Department began investigating after receiving an allegation indicating Burns had falsified a First Report of Injury (FROI) in an attempt to receive workers’ compensation benefits. Burns completed a FROI and alleged she was injured while working at M&S Carryout. The investigation proved Burns was not employed on the date she claimed she was injured. Burns pleaded guilty to one misdemeanor count of falsification in the Franklin County Municipal Court on Nov. 24. She was sentenced to 12 days in jail, suspended for time served. She was also fined $250. An order to pay court costs totaling $208 was dismissed due to inability to pay.